Assess the long-term intermodal transportation needs of the Texas-Mexico Border Region to facilitate regional economic development, international trade and safety. The Committee shall address all modes of transportation, including highways, farm-to-market roads, turnpikes, mass transit, aviation, railroads and water traffic. The Committee shall also evaluate the planning and capacity resources of the three Texas Department of Transportation border districts and make recommendations, including alternative financing mechanisms, to expedite the flow of NAFTA-related commercial vehicle traffic. The Committee shall consult and coordinate with the Senate Committee on State Affairs in developing recommendations concerning transportation linkages between the Border Region and statewide, national and international markets. Final preparation of transportation recommendations shall be the responsibility of the State Affairs Committee. Assess the Border Region's water and wastewater system infrastructure needs and the impact of the lack of adequate water and wastewater systems on health conditions along the Border. The Committee shall develop both short-term and long-term recommendations to address these infrastructure needs. Assess the health conditions in the Border Region, including childhood diseases and chronic health problems endemic to the Border such as diabetes and tuberculosis. Included in this assessment shall be an evaluation of the utilization of immunization and prevention programs and of collaborative efforts on common health issues between Texas and the Mexican Border States. The Committee shall develop health care strategies to improve Border health conditions and recommendations for their implementation. Develop economic development strategies for the Border Region to increase economic opportunity and the earning capacity of its residents through higher wage jobs. The strategies should assess the Region's post-NAFTA workforce training needs, as well as identify potential emerging industry clusters in the Border Region and the workforce requirements to support those industry clusters. 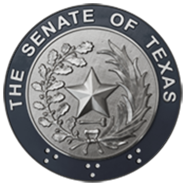 Monitor the implementation of the following bills enacted during the 76th Legislature, Regular Session: SB 913 relating to the establishment and maintenance of one-stop border inspection stations by the Texas Department of Transportation in Brownsville, Laredo, and El Paso; and SB 1421 relating to the regulation of the subdivision or development of land in certain economically distressed areas, including colonias, and certain other areas.